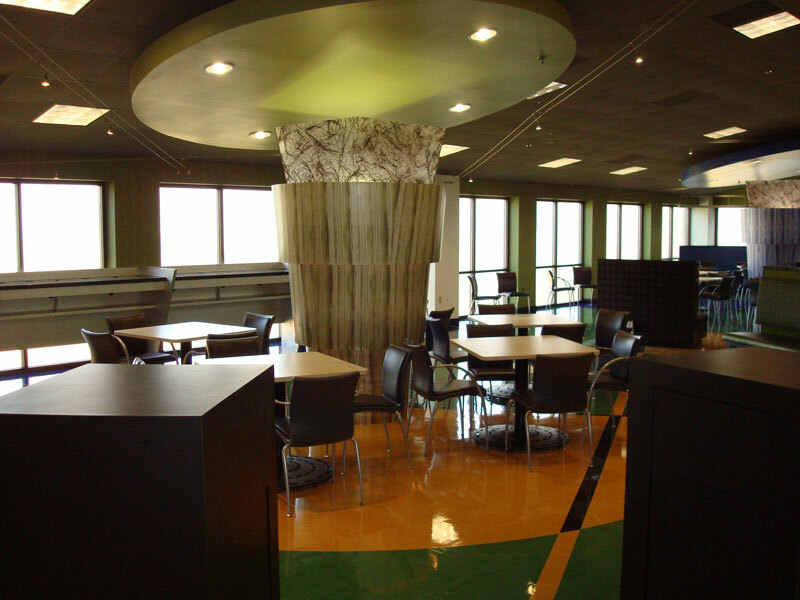 This contract consisted of the renovation/modification of an existing student cafeteria. Improvements included the renovation of approximately 12,500 SF into a new food court area complete with a serving area, seating area and internet café. The eating area was completed with all new high-end and interior finishes including partitions, acoustical ceilings, flooring, coiling security grilles, MEP, millwork and paint. The project was completed on an accelerated schedule to accommodate the winter semester break and minimize the impact on faculty and students.